Learn project management based on PMBOK6 and get access to a practice exam with 175 questions. You will learn to create project charter, WBS and download templates also which you can use in your job. PMP certification is still 3rd highest paid certification in IT. Project management skills are widely applied across industries and not just IT or software development industry. Therefore, even if you are hailing some other industry, project management as a skill or concept, is still applicable for you. But remember, certification alone won’t cut it. Especially now, when there is no lack of professionals in the market. So, if you are going for it, try to learn the concepts and fundamentals of project management and not just PMP certification itself. PMI is the world-renowned institution which manages and facilitates PMP certification and is considered gold standard for the field of project management. Right now, PMP certification is based on PMBOK6 guide and it may change in the future but as these books are dealing with concepts, updates may not be that big but always try to use the latest PMBOK guide for its preparation. Both of them are equally important. There are lot of online tutorials and courses like this one which can be used to prepare for PMP exam but there is no escape from going through PMBOK guide. You not only need to understand the various concepts in it, you also need to memorize lot of it. You need to remember all of it. Within each knowledge areas and process groups, you will have inputs, outputs & tools & techniques for it. You need to remember all this information because questions can be and will be asked from it. All of these will have their own inputs, outputs & tools-techniques. Their output will become input of some other process, task or knowledge area. You need to understand these tasks/activities and memories their input, output & tools-techniques. These knowledge areas are the building blocks of project management. All these knowledge areas come together to form, Process groups. All the knowledge areas are specific activities. Those activities are performed in these process groups. As you can understand, initiating process group will have activities which are needed to initiate a project. Similarly, other process groups will have activities to perform other activities like planning, execution, monitoring or closing a project/phase. But before you go ahead with your preparation of PMP or try to learn project management through some course or book, you need to go through the basics. So let’s quickly cover some of the most basic concepts of project management. For detailed explanation & PMP preparation test, you can enroll in this course which is based on PMBOK6. In this chapter we are going to cover project management at high level. A temporary “set of activities” within a high-level task with specific start and end is called project. For example, constructing a building or building a software. It is not limited to a product, it is also applicable for services also. So, if you are performing certain set of activities or tasks to build a product or service, you are indulging in a project. PMBOK uses the term “temporary endeavor” to specify project. And yes, don’t confuse temporary with short term, this is time agnostic and it could be short term, medium or long term. Temporary in the context of project management means, a definite end. So, a project will always end, under normal circumstance, it will produce the expected deliverable but under abnormal circumstances, a project may end and may not produce the expected deliverable, it may happen when project fails to achieve the objective or funds are exhausted or it is terminated due to some legal issue. A project will produce an output which will add value to the business. If it is not adding value, project doesn’t worth the money and efforts. And remember value is not always money, it could be strategic value, it could improve customer experience or something removing certain redundancies. So, value could vary from project to project and enterprise to enterprise. A project could involve one individual or group or a one organization or a group of organization. But in general, there are more than one parties involved in the project, for example a vendor and client. On the top of that, there would be multiple teams within vendor and clients working together to deliver a product or service or deliverable. Let’s look at another example to understand the how deliverable work in project, your company hires a consulting firm, this company deploy a team of process management experts who review your company’s process and identify inefficiencies or redundancies and propose changes to improve efficiency and save cost. This will come in the form of a report, therefore in this project, deliverable is a report. And generation of this report can be deemed as “Service”. So, reading a book or completing a course is a project for you (individual) in this case. You can terminate this process and end this project or finish it, but objective of the project is to add value for you. Before we see why project management and it’s benefits and drawbacks, let’s quickly see what project management is. Project Management is the application of project management processes. Please note that project management is not the methodology like scrum. It is the fundamental concept. In short, managing the execution of project is called “Project Management”. Lots of unwanted Rework and remember, cost of getting it right first time is always better than rework. Effective project management helps with achieving business objective within stipulated time frame and budget. I just introduced you 2 out of 3 primary constraints in project management. It’s not about completing the project, it’s about doing it within allotted time and money to deliver value. If you didn’t deliver it on time or must put lot more money than budgeted, it means project management is not working right. Effective project management will emphasis upon resourcing and project’s milestone to ensure timely delivery without putting too much pressure on cost. As mentioned earlier, project management is all about application of processes. Processes mean consistency. If we encounter a similar project we should be able to anticipate the changes and deliver that with better efficiency using our experience. It makes us, consistent or rather “Predicable”. Being predictable is a good thing in project management. Other tools like quality management applications, spreadsheets etc. You will work with all or some of the above-mentioned factors and channel everything towards one things, and that is, Project Delivery. You may not be the business owner so can’t make decision on business processes or requirements. You may not be the budget owner, so can’t make decision on budgets. Individual team members may go on leave, resign, so again you are dealing with lots of uncertainty there. 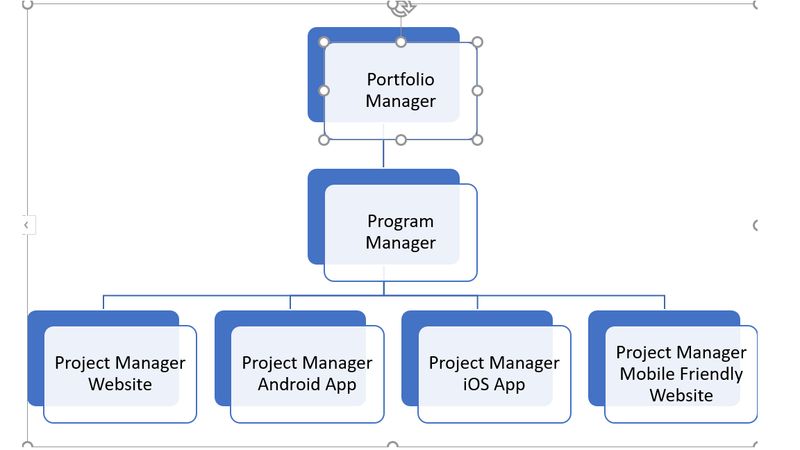 You may not even be the people manager of team working on the project, so they may not give any concern to your requests or demands. You are not the one working on actual work like business analyst or programmers, so if they make any mistakes which can cost the project delivery, you still need to perform project management. So effective techniques of project management are requirement to ensure that project delivery is optimized for better results. Above mentioned factors are challenges for project management but there are more technical issues like project creep and other risk factors impacting project. Direct communication between client and development team. Lack of clarity on the business requirements. Poorly defined requirements (business, functional, non-functional). Conventional political landscape of the organization and involved stakeholders. Effective project management ensures that project management responds to these challenges. Project managers should work with concerned parties to ensure that scope creep doesn’t happen, or it is mitigated. Similarly, if there is any change in any other risk factors adversely impacting project, effective management will ensure prompt response and team will be able to mitigate the risk. All projects are not going to succeed. It is as simple as that. Skill is to identify projects if they are going to fail and come up with mitigation plan. Therefore, it is imperative to have effective project management. Sooner you identify these projects, more effective will be your plan and you will be able to save our face . In IT companies, project manager and program managers are common. If you are working in NON-IT companies, operation manager and portfolio managers are also common term. Operation managers usually deals with production and part of daily operations like producing drugs in a pharmaceutical company and they are out of scope for our discussion. In fact, portfolio manager is also at a very high level for us. So, portfolio manager will work at these levels. Now of course, it could vary but for our discussion, let’s assume portfolio manager is working at that level. Portfolio manager will decide if their division should invest tool, technology and strategy. Let’s say Marketing decide to launch a website and mobile app for the company. Now portfolio manager will appoint a Program Manager to implement the strategy. Program Manager will be responsible for implementing website and mobile apps. Program Manager will decide what kind of changes are needed and they will come up with multiple projects. This is at a very high level and please note that all companies and industries will have some variations. that’s it for now, if you need more material and detailed explanation of all the chapters and a PMP practice test, please check out this course.